FRIDAY, MAY 5, 2017 AT STOKES HEALTH SCIENCE LIBRARY, 6:30 PM TO 9:00 PM. A key event to note during the mid-20th Century was the unethical collection and use of Ms. Henrietta Lack’s cells. Unlike this misappropriated use of her body, Dr. Cobb set an example of community sanctioned dona-tions of African American remains primarily from the DMV, for the betterment of science. Currently, the Cobb Research Lab is thriving under the leadership of Dr. Fatimah L.C. Jackson as its Director and Chief Curator. She has stimulated diverse research and training on the two skeletal and dental collections of the Cobb Research Lab, the New York African Burial Ground and the Cobb Collection. Under her leader-ship, she has brought funding from the National Park Service and National Geographic Society into the lab and secured a new residence for the Cobb Research Laboratory DNA Lab in Howard University’s multimillion dollar state-of-the-art Interdisciplinary Research Building. 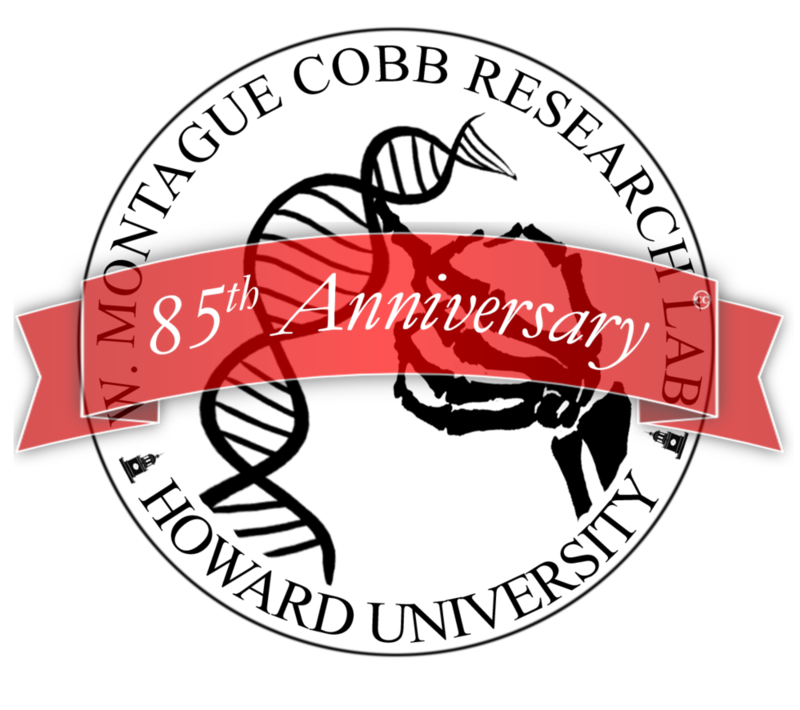 On the evening of May 6th 2017, from 6:30-9pm, we invite you to commemorate the momentous occasion of our 85th Anniversary at the Louis Stokes Health Science Library. During this time, we will highlight the jour-ney of the lab’s development from its inception to its contemporary activities. In addition, we will emphasize the research that’s being done now and provide our guests an overview of future directions for the lab. Attendance at the celebration is free and open to the public with online registration. Dress is business casual, black and white. The Cobb Research Laboratory is the humble beneficiary of Dr. Cobb’s groundbreaking work and vision. Over the past three years, we have expanded upon his legacy and hope to continue to do so in the future. Consistent with Dr. Jackson’s directorship, we have trained and provided research experiences for over 200 individuals including undergraduates, graduates, professional students, faculty and staff, and general com-munity members, including K-12 and Senior citizens. Researchers have come from across North America, the Caribbean, Africa, Europe, Asia, and the Middle East to study at the Cobb Research Laboratory. Along with our international newsletter (Cobb Research Lab News) and our online scientific journal (The Backbone), we are making positive impacts on our university and on the research community as a whole.